Dubai is a city-state in the United Arab Emirates (UAE). It’s a city that is well-known for its rich cultural heritage, intriguing deserts and awe-inspiring architecture. 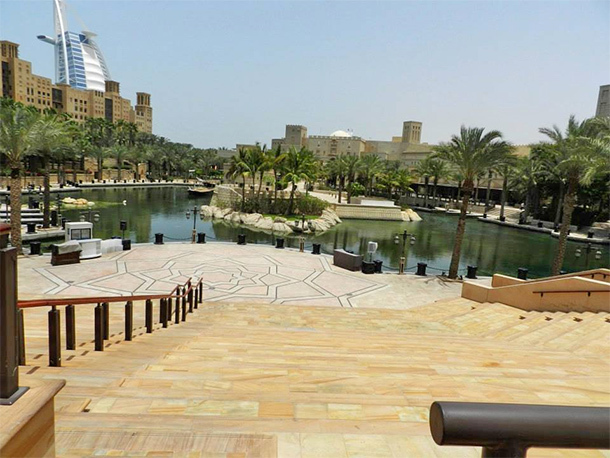 The city is a must-visit especially if you’d love to see a glimpse of the Arabian culture. There are indeed a lot of things to do in Dubai, just like its neighbour, the Kingdom of Bahrain. Admittedly, Dubai can’t be completely explored in a day. The variety of activities one can do alone will leave you cramming multiple activities if you try to squeeze everything in. This will, in turn, make you less enjoy the trip as much as you should. Hence if you’d love to take it slow, allot maybe 4-5 days of your time to explore the city. There are fun activities you can do in a day with lots of cool activities during the night, too. 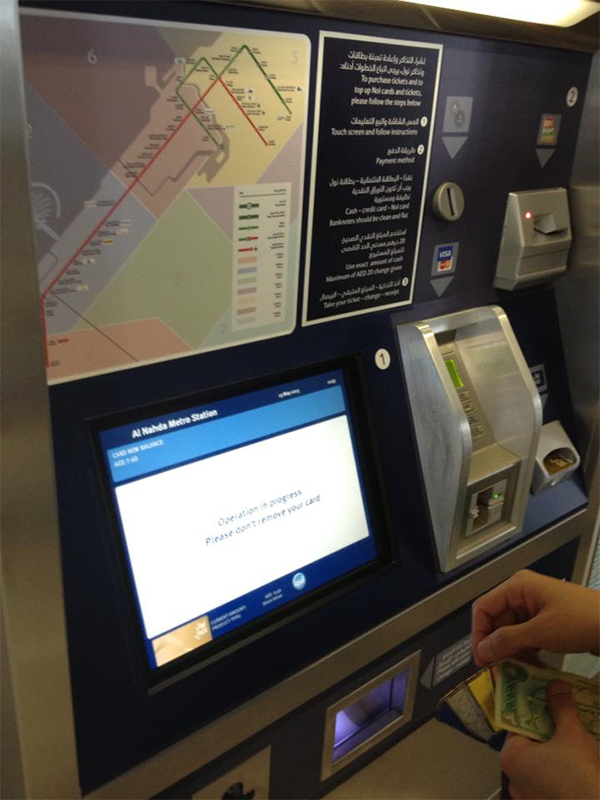 The public transportation in Dubai is efficient and convenient with plenty of options for travellers visiting the city. You may purchase the Nol Card upon arrival to get around the city. The card can be used to pay for the bus, tram and taxi. Please take note that public transport like the bus, metro and tram does not accept cash. Hence, the necessity to purchase the Nol ticket to get around. It’s also pretty handy if you’re renting a car as the card can also be used to pay for Paid Parking Zones. If you’d love to go on your own and at your own pace, renting a car is available. Of course, you’ll need an international driver’s license, passport, credit card and third-party insurance to avail. If driving on your own is not your thing, a taxi can be another option for you. Taxis are available anywhere and anytime. But, it should be noted that price per kilometre changes depending on a variety of factors including tolls and time of day. Riding the Dubai Metro is very easy and among the cheapest option to go around the city. 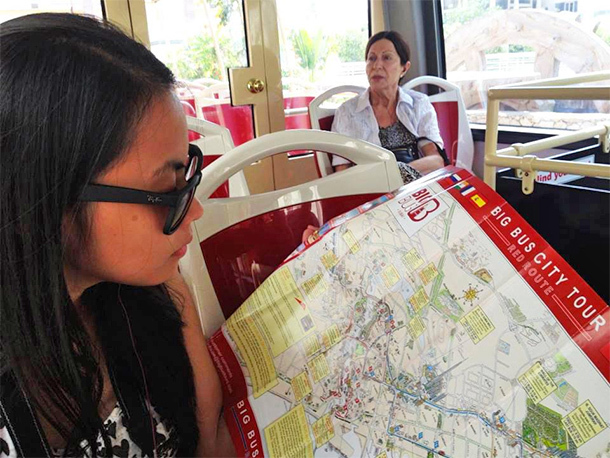 It’s actually one of the options of traveling by rail, aside from the Dubai Tram and the Palm Monorail. Traveling by boat in Dubai can be a mode of transportation and a way to sightseeing too. Dubai has dhow boats and abras, ferry and water taxi and yacht rentals that travellers can choose from. Buses are also available if you want another option to travel around the city-state. Aside from the regular air-conditioned buses, open-top hop-on, hop-off bus tours are also available. Good news for cyclists! Dubai has city paths where you can bike around the city. Bike for rents are accessible within the city centre. If you want more adventure, take your bikes and discover Hatta’s mountainous terrain or perhaps through Al Qudra’s 86km cycling track. If you find yourself in Dubai for a few days, here are some fantastic places to visit in Dubai as well as some fun activities you can try while there! 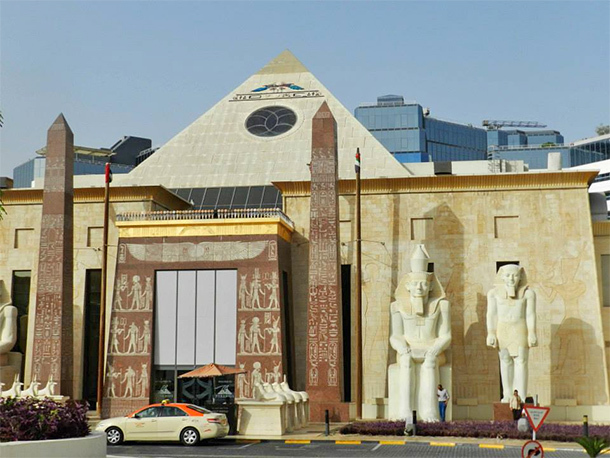 A visit to Dubai Mall is inevitable especially if you are visiting the city-state on its hottest season. It’s also considered to be one of the world’s largest and most-visited retail and entertainment destination. Dubai Mall is an attraction in itself. 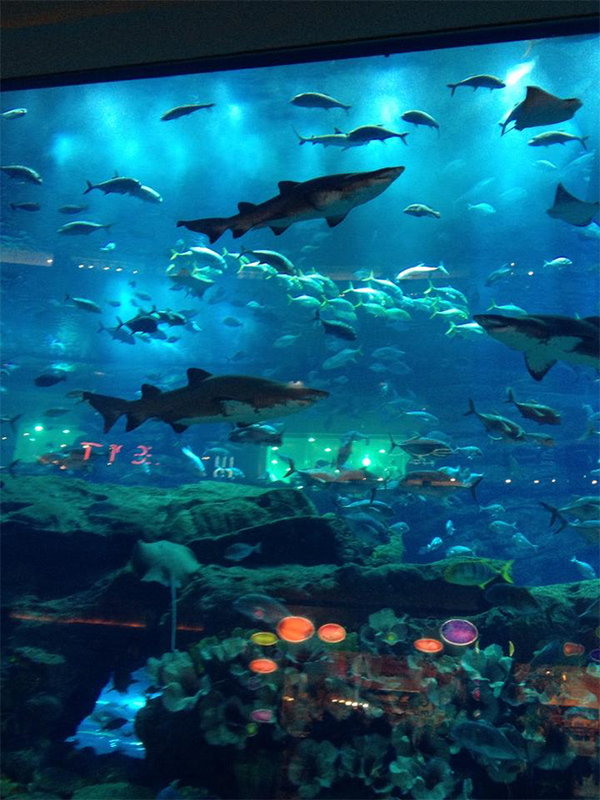 It’s the home to the Dubai Aquarium & Underwater Zoo, a world-class destination that features thousands of aquatic animals and a 270-degree walkthrough tunnel. The mall is also home to the Dubai Ice Rink; the VR Park which is a unique virtual reality attraction that is deemed to be the first-of-its-kind attraction for the Middle East; and one of the most photographed spots in the mall – its indoor fountain. 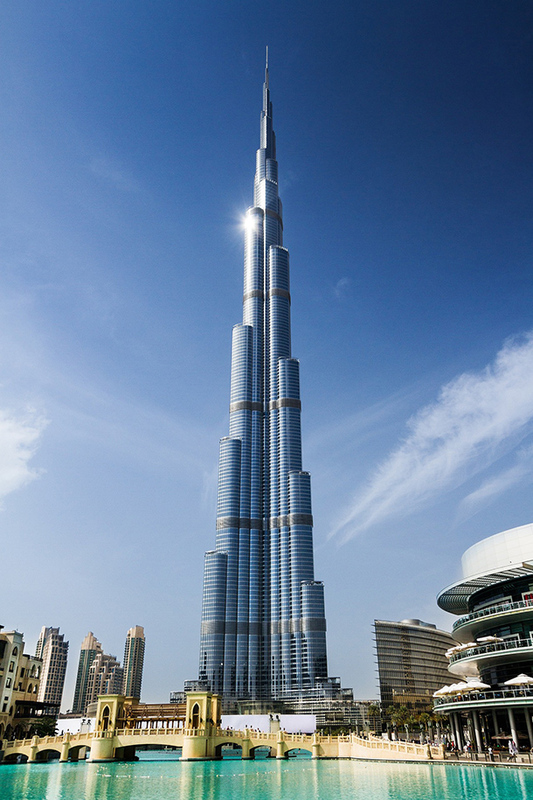 Right next to the Dubai Mall is the iconic Burj Khalifa, the world’s tallest building. If you have the time and the budget, head up to the Burj Khalifa observation deck and marvel at the majestic views of the city. Ticket price starts at 135 AED. But if you’d rather save it for other activities, then simply marvel at this engineering masterpiece from afar. The view are still majestic and who wouldn’t want to miss a photo with this building as their background, right? 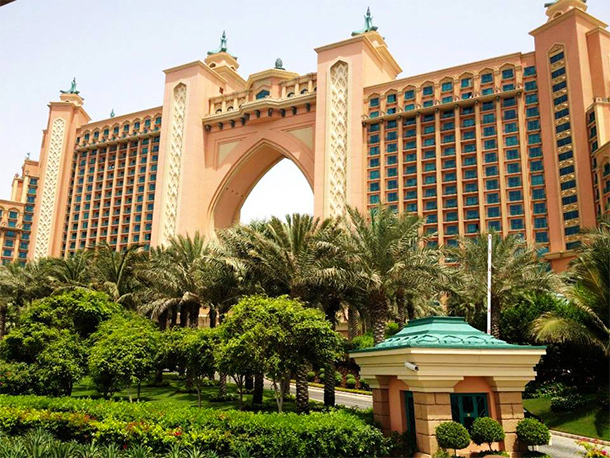 World-Class entertainment is expected when you book a stay at Atlantis, the Palm, Dubai! This luxury resort offers amazing activities including the Aquaventure Waterpark, Dolphin Adventure, Ultimate Aquarium Dive and the Lost Chambers Aquarium. If booking a room is not an option, Day Use are also available or you to enjoy the facilities. I’m sure the kids will enjoy this! If not, dine in at one of the many restaurants on site! Who doesn’t love flowers and more flowers?! 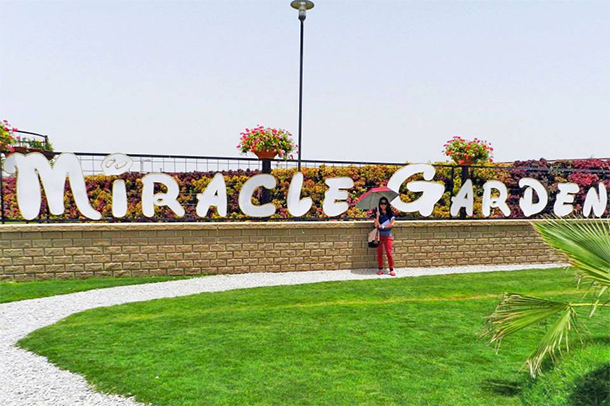 Dubailand’s Miracle Garden is a beautiful landscaped garden home to over 45 million flowers. The Miracle Garden has a land area of approximately 80,000 square meters. Forget about the regular bushes and flowerbeds. The Miracle Garden is filled with topiaries in all shapes, colours and sizes. As the flowers are all real, the garden is closed late May and re-opens in October. So be sure to check your dates before including this on your planning. 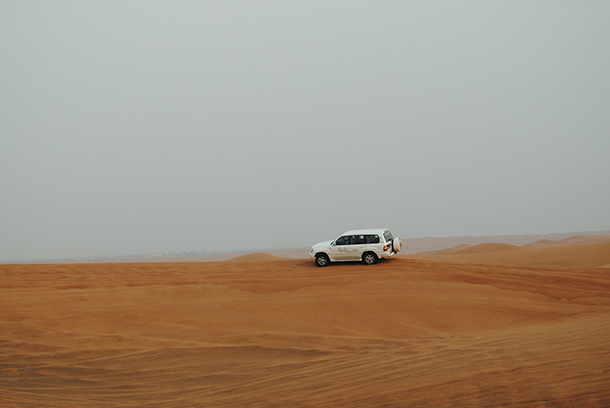 A trip to Dubai won’t be complete without experiencing the Desert Safari Camp. There are several type of tours. This includes a Morning Desert Tour, an Evening Desert Safari. There are several packages that you can choose from. Be sure to check out the best deals from Klook! Here are some of the fun things you can do! Please take note the activities mentioned below are just a few of the activities being offered at the Desert Safari Camp. Do check your tour inclusions first. Been to the Paoay Sand Dunes in Ilocos? Well, Sand Dunes Bashing in Dubai is more exciting! Be sure to hold on tight while doing the activity! Dunes bashing will take up to 20-30 minutes and is definitely the coolest way to hype you up for the entire guided tour. 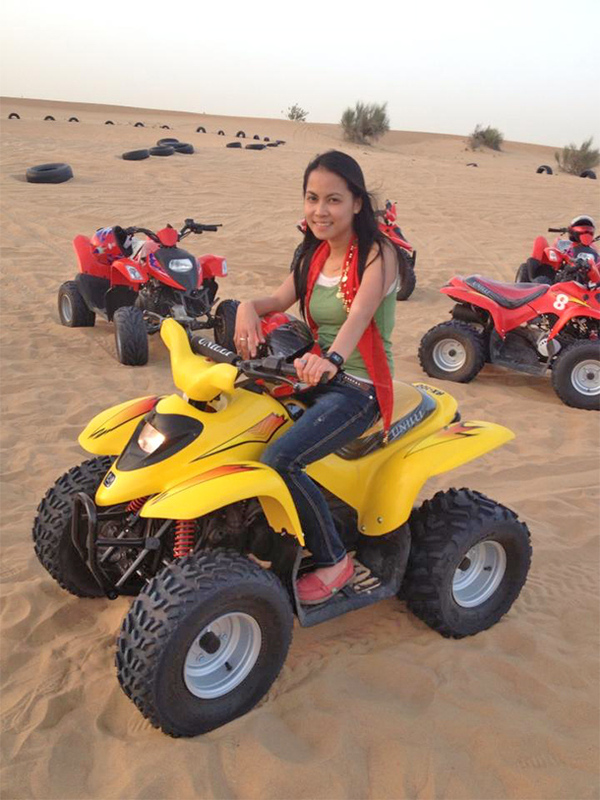 After the Dunes Bashing, you will be taken to the Desert Safari Camp for 15-minutes of Quad Biking. Get that thrilling feel as you manoeuvre the bike around the Camp. Please make sure to inquire if the Quad Biking is already included in your tour package as it may require additional fees. 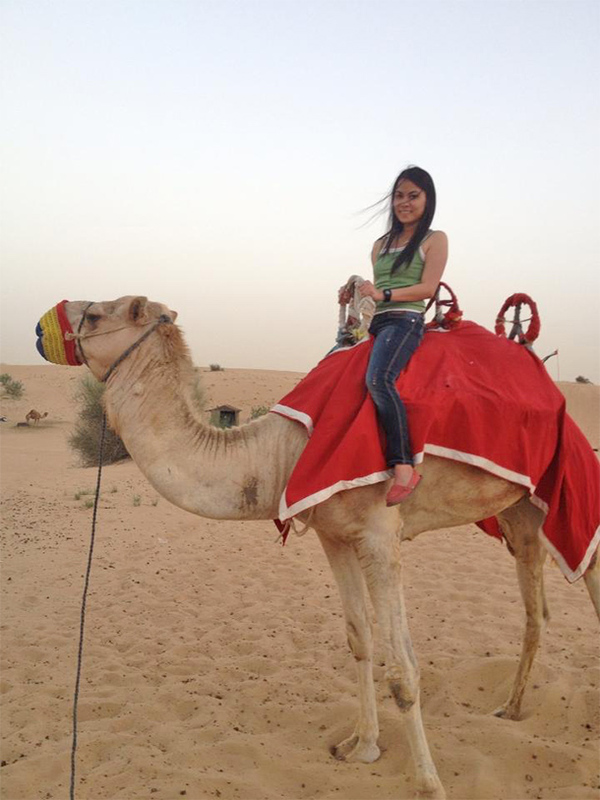 Camel Riding is also available for those wanting to try it! Explore the Desert Safari Camp on board these gentle creatures and see how it feels to transport around astride a camel. Want to get inked? Well, at least temporarily.. The camp also offers henna painting for guests who’d love to try it! 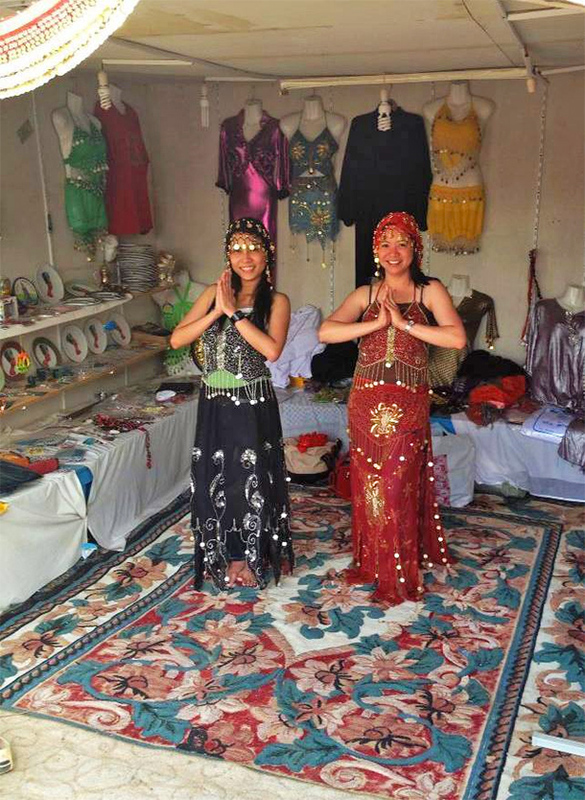 Dress up and wear traditional costumes at the Desert Safari Camp. This will definitely get you in the mood for the Arabian Night later! Dine under the stars and eat delicious food while watching the Belly Dancing. This is definitely a cool way to end the night! Like most short trips, a hop-on hop-off bus tour is incredibly convenient to move around the city and see the many sights. 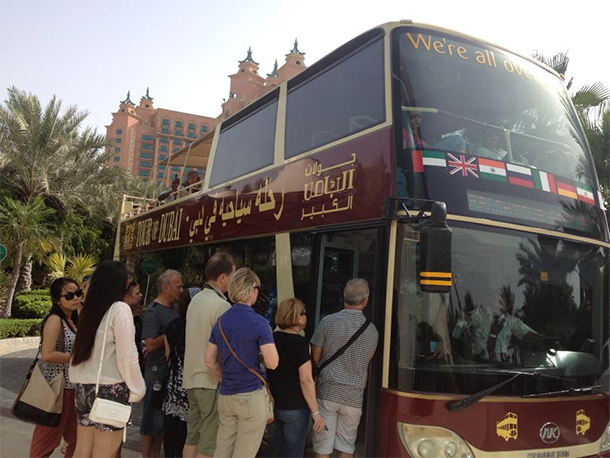 Dubai has the Big Bus Tours operating in the city-state. You’ll be able to explore the major attractions in Dubai and at your own pace! 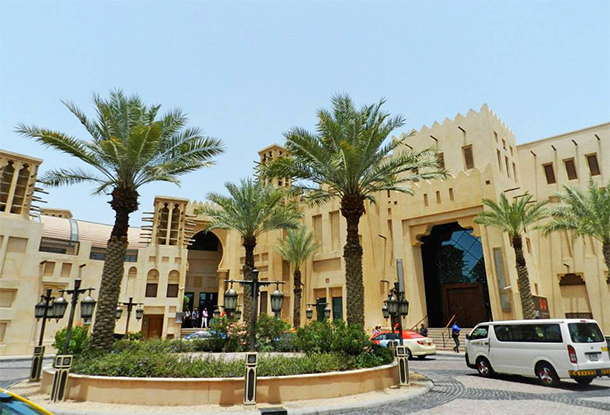 Shop til you drop at the Souk Madinat Jumeirah and experience the traditional Middle Eastern shopping culture. It’s a mix of stands, barrows and stalls accompanied by boutique brands, souvenir gift shops, luxury fashion and jewelry. This shopping mall is not only a place for traditional shopping but for dining with friends and families too. If you love entertainment at night, this is also the place to be. 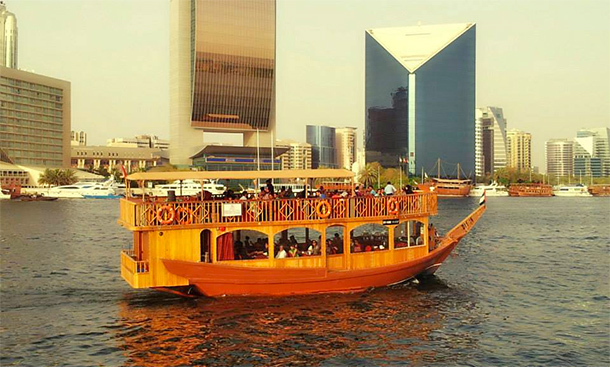 Enjoy views of the Dubai Marina or the Dubai Creek onboard the Dhow Cruise while sampling some delicious food! The cruise’ll take you around either (depending on the tour you avail) for an hour while you dine with the food served on board. 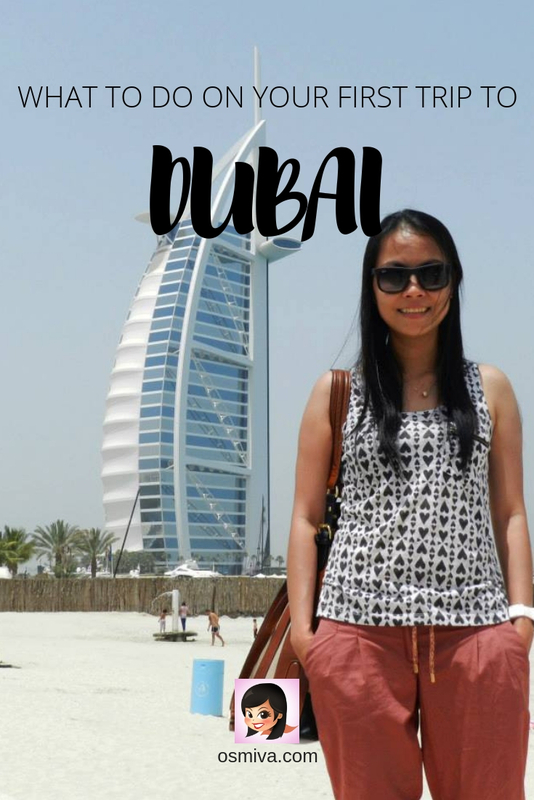 Like all trips, a visit to this city-state should be thought of to fully enjoy the things to do in Dubai. 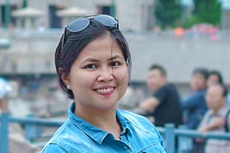 Here are some friendly tips to make your trip a lot more fun and at the same time convenient! 1. 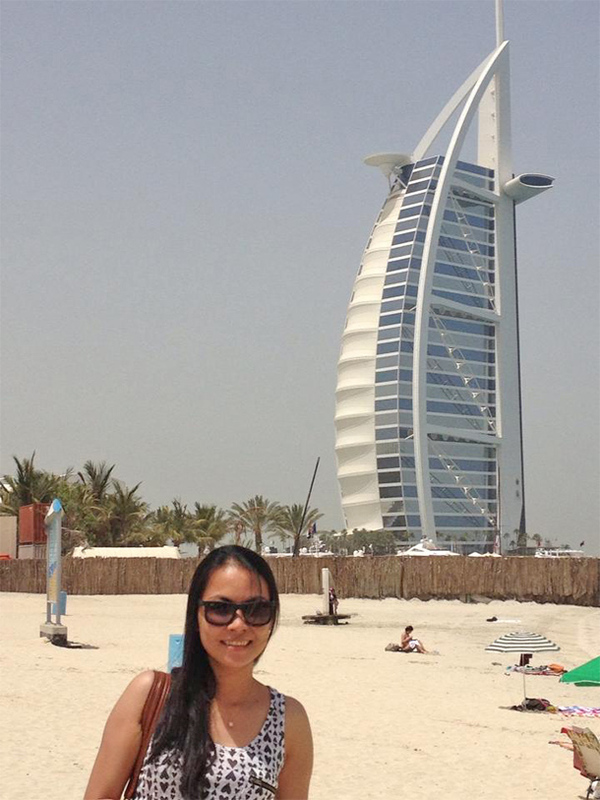 Dubai can be very hot so it advisable to check the weather before you decide to visit. But if hot weather is alright with you, then that’ll be cool. 2. Always bring water to avoid dehydration especially for hotter season. 3. Dress comfortably and appropriately. 4. Avoid public display of affections too. 5. Alcohol consumption is allowed by non-muslims in licensed restaurants, bars, clubs, private venues, and at home (for residents who have acquired an alcohol license). You may refer to the official Dubai government site for the complete list of do’s and dont’s. 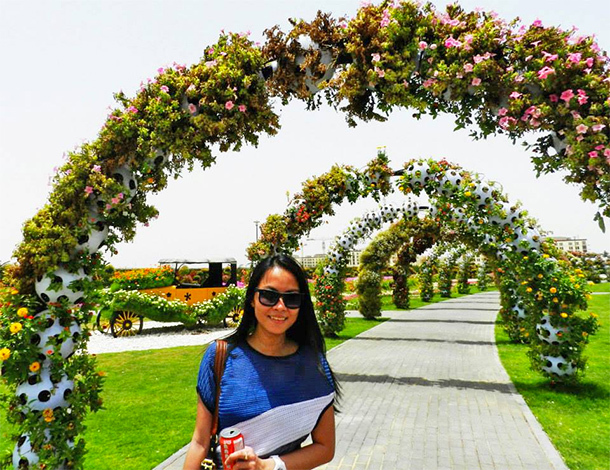 I love the information in this article about Dubai geared toward first time visitors. I especially appreciate how you have incorporated both how to get around as well as what to see and do (including some adventure activities). Thanks for sharing – I’ll save and pin and post on G+ and Twitter! Most people I know either love Dubai or hate it. I love all the man-made attractions and theme parks. The hotels are amazing and the dune safari is so much fun. 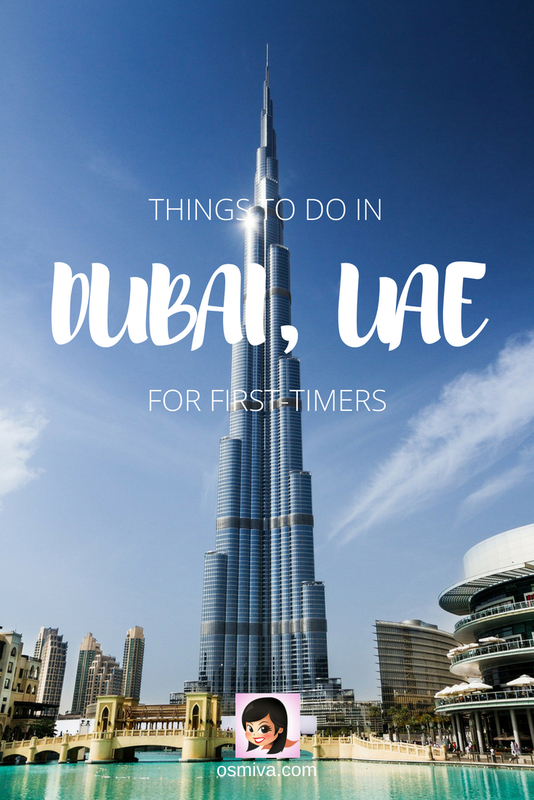 I live in Dubai and I actually agree with everything here mentioned as things to do for people on their first visit. You did, however, miss out on one key place which I believe people should also include and that is Bastakiya. It’s the old part of Dubai with narrow lanes, wind towers and old architecture, lots of cafes and art shops. I don’t particularly like the souks personally, nor the Dubai Museum but Bastakiya is a great place to visit! Ohhhh.. Glad to hear that 🙂 Too bad about missing out the Bastakiya.. It sounds cool! This is very detailed article for first time visitors. I think you have covered almost all the points that a visitor needs to know. I love souks and I love safaris too. So for me this is quite good. Hope to make use of this guide when I head there.